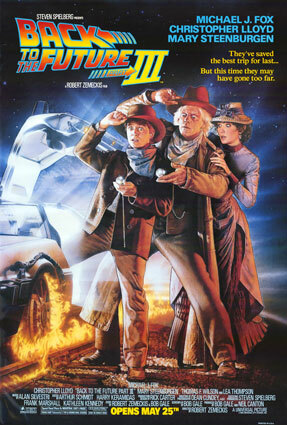 The third installment of the "Back To The Future" film series, takes place in a western setting, as Marty and the Doc, go back to the time of cowboys in America. This film once again picked up from where the last installment left off. In "Back To The Future II" Doc Brown's Delorean time machine was struck by lightening in mid-air. This transported him back in time, from the present day, 100-years to 1885 for "Back To The Future III." Brown lives as a blacksmith, falls in love with a teacher and is confronted by the same cast of characters again, including Marty, who is reunited with him in that time period. This movie was the third best in the franchise.